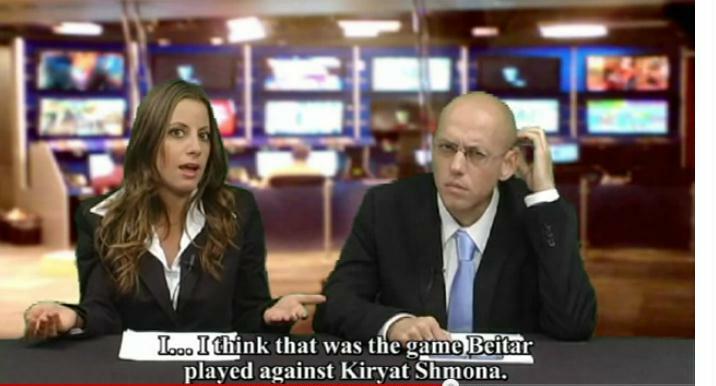 Jewish Humor Central: Latma's "Tribal Update": Israel's Saturday Night Live "Weekend Update"
Latma's "Tribal Update": Israel's Saturday Night Live "Weekend Update"
Today we're sharing a current ten minute segment of Israel TV's Latma Tribal Update, a mock news show in the spirit of Saturday Night Live's Weekend Update. The news anchors call it the most objective news on television, without bias. American viewers might find the political commentary a little rougher and the satire a little more edgy, but that what comes with living in a tough neighborhood. Topics covered in this episode include a jihadist's dream, the tent city protests now going on in Israel on the cost of housing, the war in Libya, and even hurricane Irene. There's also a commercial parody in the middle of the report. So here goes. You may want to watch the show more than once because the dialogue moves fast. Very fast. And remember, it's a parody, not real news. Enjoy!